I’m getting a slow start this year in making progress with my art. I switched from watercolor painting to drawing and sketching more than a year ago. One of the ideas was to create a bank of images that I could elaborate upon in other artwork. Isn’t this the purpose of a sketch book: a memory prompt to be used later? During my year of sketching, I tried different techniques: copying the likeness of my subjects; capturing gestures; using blind drawing to train my hand to obey my eye (tracing the contour of the subject without looking at the drawing surface); disregarding the impulse to create a likeness of the subject and instead, trying to capture the essence of its likeness. 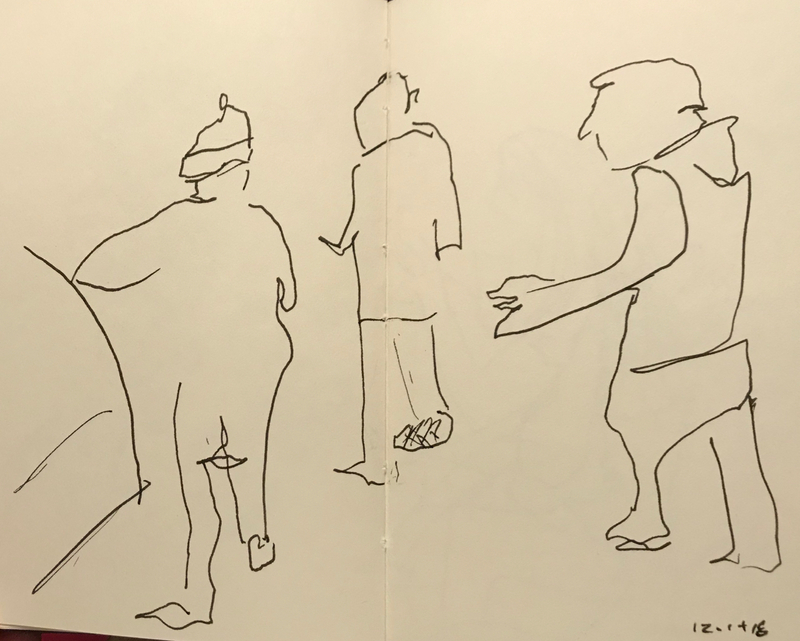 The figures below are blind drawings of the blind drawing in my sketch book. 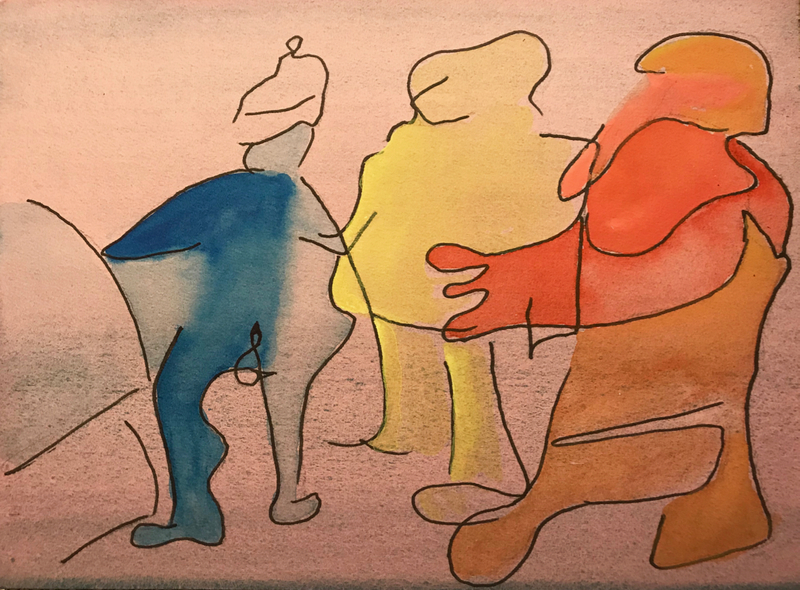 This entry was posted in Personal Stories and tagged art, artistic process, blind drawing, creative process, creativity, drawing, pen and ink, sketch, sketchbook, watercolor. Bookmark the permalink.